I have talked a lot about insomnia and how much it has impacted my life for years. Not sleeping or having your sleep schedule/routine thrown so much can truly make a person feel crazy. Although I am getting used to not sleeping well since it has been my “new normal” for over a decade now, it still impacts my whole being enormously. I get very agitated when I have barely slept. I have literally gone days without so much as an hour of sleep and needless to say, my patience is non-existent when that happens. My eating becomes atrocious. My anxiety worsens. Among other things. My mind wanders way too much for my liking and it leaves me feeling even worse. The nighttime is more difficult I think because the rest of the world is asleep which makes it just you and your thoughts. Anyway, I wanted to share something that I recently got as a gift that was so amazing for me when I used it last night. I have been up since 3am but this sound machine allowed my mind to stay calmer and in essence, I did not feel as though I was losing my mind ; ) I also used it this morning and it allowed me to rest in a way I was never able to before. It has a number of different sounds such as thunder, the ocean, summer nights, etc and I find it so incredibly comforting and helpful. I felt like I was in my own little world and even though I was awake, I felt a sense of peacefulness come over me by listening to those sounds. I don’t want to try to explain it in words anymore since I know it will come off cliche and corny. BUT, I did want to share this tip with anyone else who is struggling with sleeping problems since I can already tell (after only one night of having it) that it is going to help me get through some difficult nights. Do you have any tips or advice you think would help the Inflammatory Bowel Disease or chronic illness community? I would love to hear them! 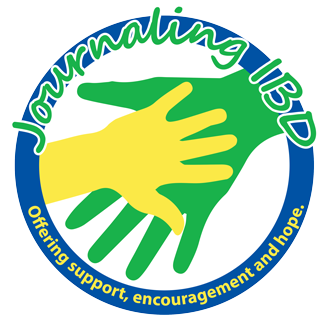 Please email me at marisa@journalingIBD.org if you would like to talk about a way that you can help share some of the knowledge you’ve gained along your journey with other people who may be suffering and could use the assistance from someone who has been there and understands. What a wonderful idea….music, environmental sounds can all bring a person to a different place….how great…:)! I love listening to sound machines, white noise, rain or ambient sounds before sleep. Soooo relaxing! If you want to take it to another level, try listening to something called “bineural beats” (you’ll need headphones). Whether it actually does what’s claimed (i.e. changes your brainwave patterns), I find it incredibly relaxing at it helps me to zone out completely.